Select the Custom radial button, then click Edit. That opens this "Event to Trap Translator". 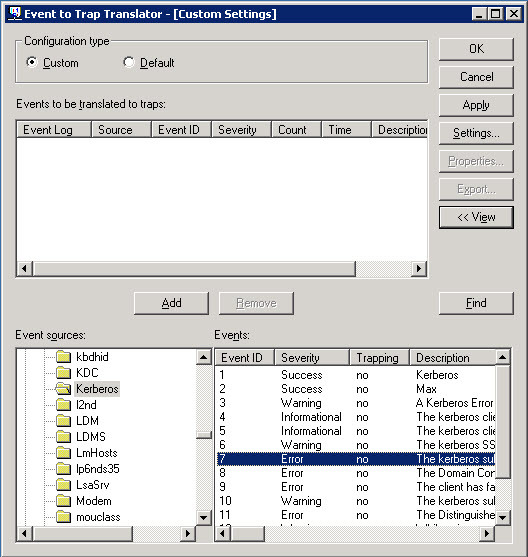 First, you need to expand the event log that you want to look in from the "Event sources" window. 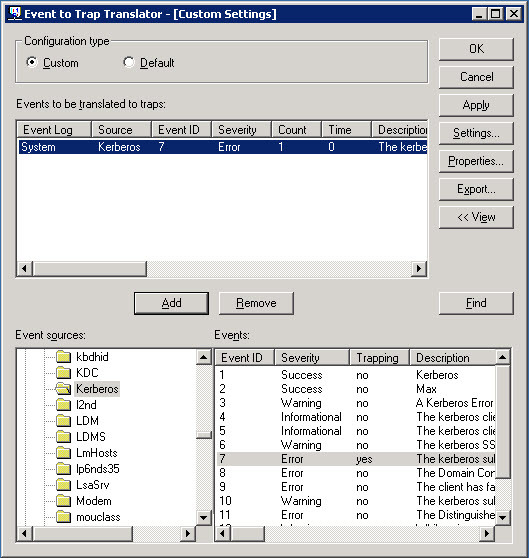 That shows you all of the event sources that have registered events in that event log. 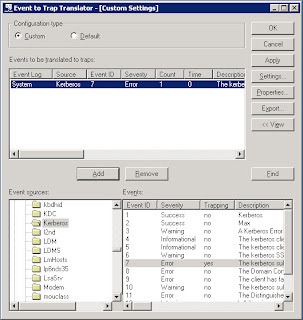 Select one of the event sources, and the related events shows in the events window. 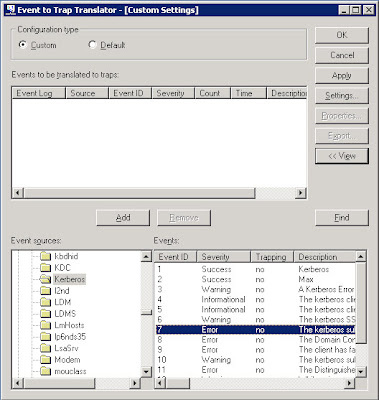 In the example image I selected Kerberos. 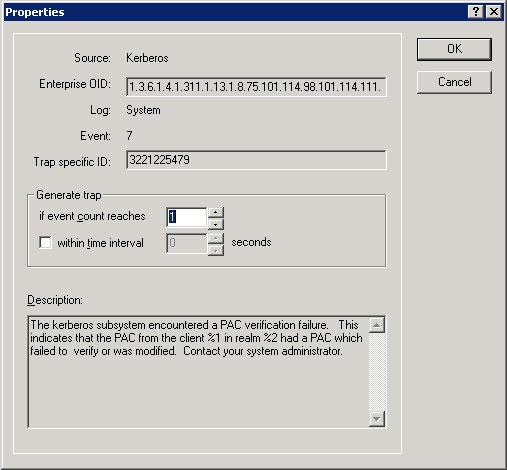 Then, in the "Events" window you select the event that you want to start sending SNMP traps for. 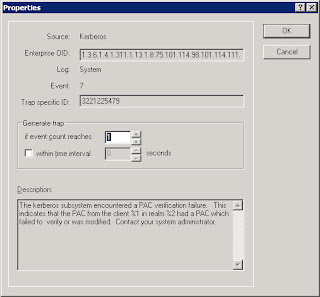 Click Add to configure that event send SNMP traps. You can click OK for it to generate a trap every time that event occurs. 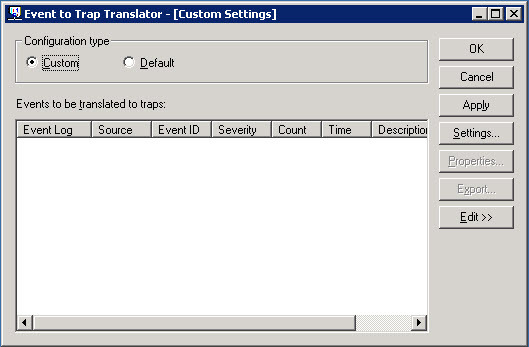 Or, you can modify some the settings in the "Generate trap" section to limit the amount of traps it sends out.